This is the first post in The Making A Mark Art Blog Awards 2013 to announce who has won an award this year. 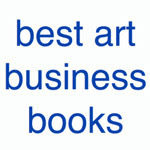 The Making A Mark Awards are for Art Blogs and for blogging about art on art blogs. This year seems to be a period of transition! people reading fewer blog posts (the loss of Google Reader has been significant). At the same time I'm also seeing evidence of people working out a clear social media strategy for displaying their art which involves their blogs alongside websites and a presence on social media sites and vlogging (video blogging). What I need to do is work out whether I continue to limit these awards in future to just art blogs or take on board the wider social media aspects as well. Time will tell - I've certainly not made any decision as yet. There are three awards in this category - all associated with with making, displaying and exhibiting art. First however there is a an announcement of a retirement - and it marks the end of an era. 2012: Carol Marine (Carol Marine's Painting A Day). Last year I noticed that many fewer people had any sort of legitimate claim to be doing a painting a day - compared to earlier years. In 2013, seven years later, I think we can now officially declare the "painting a day" phase well and truly past its peak. It will continue - with those for whom this is their preferred way of working - and for those who have got a well established following. However it's wrong to characterise the frequent production of small works as "a painting a day" when the origins of the movement lay in something very much more demanding in terms of blogging art (and these are, after all, awards for blogging art!). "Painting every day" is however something that lots of people will continue to do - mostly on rather larger works! Painting regularly every week is good too! Art can be quite a lonely activity and it's noticeable that people often like to have some sort of involvement in groups and projects related to art! Often these are informal because of the nature of the project or as an organisational preamble to the formation of a more formal group. This award is designed to provide recognition to those who set up and keep such projects going so that they are able to create and achieve. Last year I had Women Painting Women in my sights as a project which was certainly worthy of an award - and was upset to find that their blog seemed to have died. Little did I know at the time that they were planning bigger and better things for 2013! Women Painting Women is a blog that was started in 2008 by artists Sadie JerniganValeri (blog), Alia El-Bermani (blog) and Diane Feissel (blog) to highlight underrepresented female artists working in the figurative tradition with this theme. During a one-week residency outside Charleston, 14 artists- Mia Bergeron, Alia El-Bermani, Linda Tracey Brandon, Rachel Constantine, Diane Feissel, Lisa Gloria, Catherine Prescott, Cindy Procious, Shannon Runquist, Katherine Stone, Terry Moore Strickland, Stefani Tewes, Alexandra Tyng, and Sadie Jernigan Valeri painted together, taking on technical challenges as well as finding a space to voice their concerns and hopes as women making art in the twenty first century. The goal of this show—as with the group's past shows—is to expand the collective sense of what a woman is and means in the realm of art. Each artist that had exhibited at the previous WPW exhibition at Principle Gallery has been asked to invite one female artist to exhibit alongside them, thus multiplying the power and vision of the group twofold. We are also asking other venues to host their own Women Painting Women exhibitions or events concurrently with this September show. 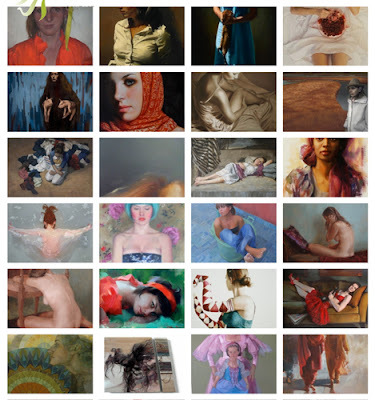 We envision that in September and October of 2013 we will see a rash of exhibitions celebrating and promoting the amazing figurative works we see coming from today's women artists. Where do they go from here? Some National Portrait Gallery has got to pick them up at some point surely? This is an art blog project which started with an admirable set of values, achieved its goals and then changed up a gear and created a significant movement amongst painters. 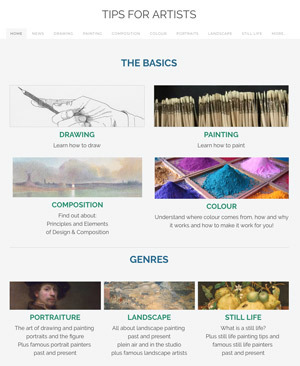 In all of this the art blog has proved a valuable tool for showcasing the work of various women artists and providing a place of reference and an accessible identity for their work. AND widen the audience for the images of its member artists. Below are my criteria for assessing art society blogs. Basic data about how become a member is always included (i.e. assumes a readership beyond existing members). Information about events and activities include enough information for people to be able to locate the society's activities (e.g. does not assume "everybody knows"). Always be Current - that means all content is up to date and timely - announcements about events and exhibitions will allow time for people to plan and arrange to visit! Emphasise the Visual - Art rather than words dominate the blog. Images of artwork or event posters should always be included whenever possible and relevant. 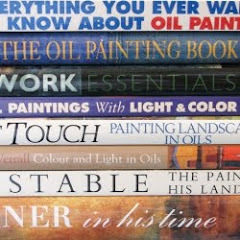 An art society blog without images says something about how important visual images and the artists' artwork really are! (This factor is the main reason why some art society blogs are NOT shortlisted. A little bit of persistence is all that is required). Supports Artists and their career development through highlighting their exhibitions and websites. 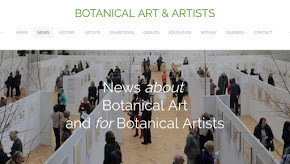 Blog posts profile members, their artwork and their exhibitions - regular updates throughout the year generate extra marketing for artist members, extra traffic for the websites of the artist, art society and gallery associated with members. One of the main problems relating to lack of progress seems to be a lack of skills at the Committee level in terms of blogging. Possibly this relates to the average age of the committee members of some art societies. Those with a younger profile seem to do rather better at getting to grips with the Internet. Our website is now active and fully functional. We have a blog, a Twitter feed and a Facebook page. We will be very active on social media and we hope you will be there with us! 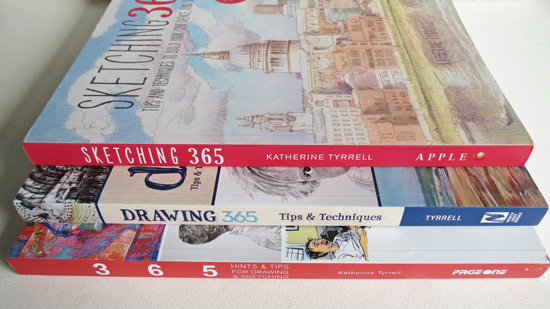 In 9 months, the Pencil Art Society has gone international, held their first online exhibition and built a membership of over 5,000 members in their Facebook Group. 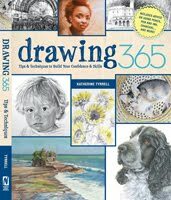 What I particularly like about the blog is it's making an effort to open people's eyes to the scope for pencil art and increasing awareness of the different approaches and styles. 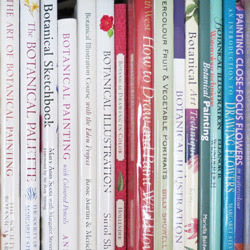 Leading members have also written blog posts with an educational slant which is a very welcome development and one which other art society blogs might usefully review. Much is due to the efforts of the founding members - namely Alexandra Bastien, Erica Walker and Lissa Rachelle Robillard are founding members. By now some of you will appreciate that one of the themes of this post is that I've been very impressed by women artists this year! Two nominations were received with respect to two artists - one for his output and one for general showcasing of the work of the artist and others. Nigel Fletcher (Painting adventures in the Limousin) was nominated by Carolyn. Nigel would have been a serious contender this year if I'd still had the Stickability award running. He posts consistently amazing small daily paintings of UK and French subjects - mostly plein air landscapes and still lifes - in oil and watercolour. Adele Wagstaff (from the easel… thoughts on painting, work in progress and exhibition news) was nominated by Ilaria Rosselli del Turco (Ilaria Rosselli Del Turco - News). 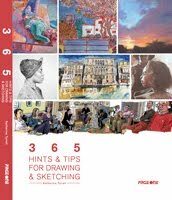 Adele wrote a three-part series on Painting a Portrait for the Artists & Illustrators magazine - the articles were published this Autumn. 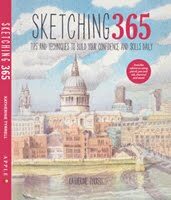 She posts photos of her beautiful work, images of the process and highlights shows and other arty events. For example, on Facebook, I follow Jonty Hurwitz (Facebook: Art of Jonty Hurwitz) who posts very regularly and constantly amazes me with the contemporary art he finds and highlights on his page. I also particularly like it because he finds sculpture and installations which I like but don't tend to look for as much as drawings, paintings and prints. He also reveals the level of innovation and quality that provide strong competition for more conventional artists when it comes to art collectors' $/£/€. I do think this type of curation is something which Facebook is excels at. I'm inclining very much towards doing more of this in the New Year - which means I better start liking some more Facebook Pages (NOT accounts) to make sure I see what's on offer for our delectation. However, if I'm limiting the Showcase Award to art blogs in 2013 then there can be only one winner in my eyes. Lines and Colors is a blog about drawing, sketching, painting, comics, cartoons, webcomics, illustration, digital art, concept art, gallery art, artist tools and techniques, motion graphics, animation, sci-fi and fantasy illustration, paleo art, storyboards, matte painting, 3d graphics and anything else I find visually interesting. If it has lines and/or colors, it's fair game. he posts regularly - and creates a lot of posts each month - I counted 31 to date this month. This is somebody who you really have to have a feedreader for if you know you'll need to plan what to read. (I'm now using Feedly and am finding it very easy on the eye.). This is one of the very important factors as to why his art blog regularly features in the top ten in the world. he posts accessible but authoritative posts about artists from the past who are worth knowing about. Although he has the odd eye candy post, most of his art history posts provide good quality and reliable links to online resources and relevant publications. I've learned a lot about artists who I otherwise might not have come across. he highlights exhibitions where good quality art can be seen and gives us feedback on the ones he's seen. He provides helpful posts on practical matters from time to time and/or focuses on a theme of contemporary relevance eg he's recently been contrasting the sudden vogue for the "selfie" with the development of the self portrait over time. Categories art, art blogs, Art Project, art society, artist, artists, best art blogs, call for entries, making a mark, Making A Mark Awards, painters, painting, who's made a mark this year? Thanks for the post. I just started an art blog so keeping all of this in mind will be super helpful. Hvae a happy new year. Great choices, Katherine. All worthy.